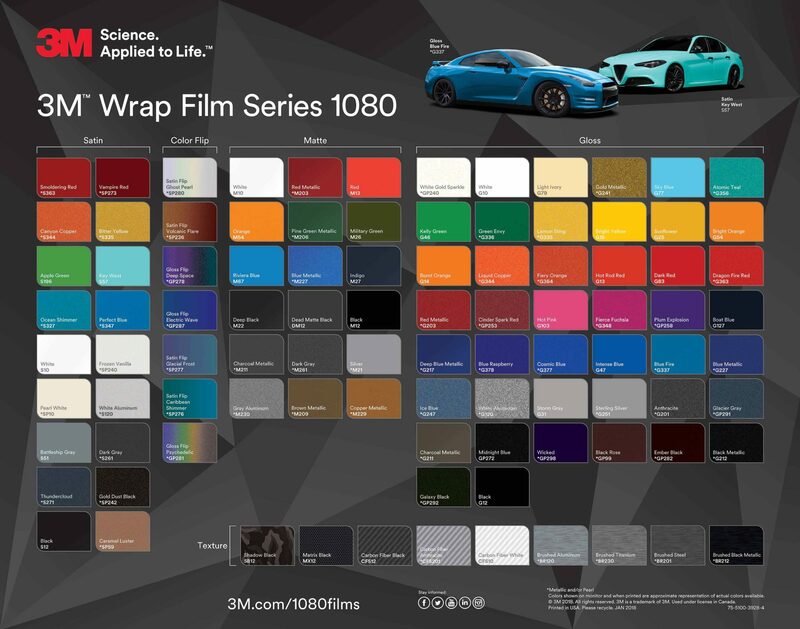 We use high performance automotive films from 3M and Avery Dennison for our color change vehicle wraps, see the color charts below to browse through a wide range of vehicle wrap film colors, textures and styles. 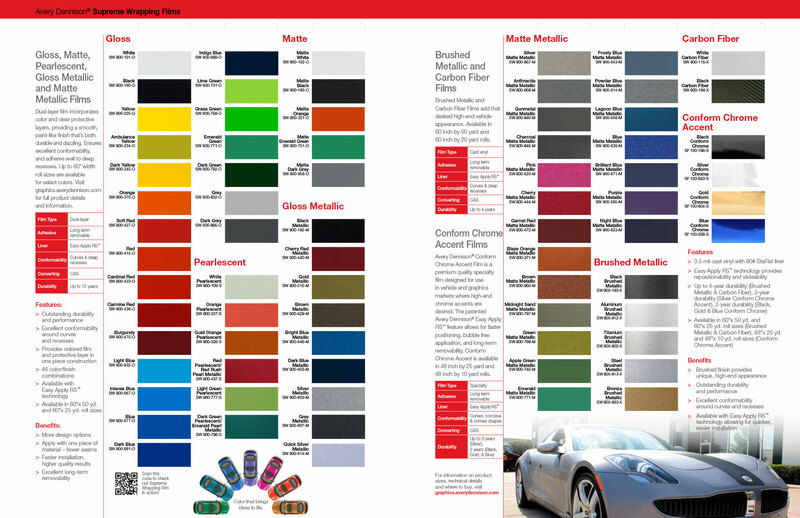 We offer numerous options including color flip, carbon fiber, metallic, gloss, satin and matte films. Stop by our office to see these films in different lighting conditions to see the spectacular properties of these automotive vehicle wraps films.